Here’s Botbait watching a new fellow bot being created! If you wanted to build your own tentacle mechanism tail (without the top pieces, but with more vertebrae), there is now a bundle HERE for $29.95. One of the most common questions is: Is it hard to make? Botbait is challenging, but it is possible to make it. We are currently working on the instructions, but it will serve as a useful guide for anyone looking to make one. There is also the in-depth video. From wondering about how cats would react to this robot, to imagining creepy alien designs for Halloween, to how they can react to Gangam Style, it has been fun to hear the feedback. 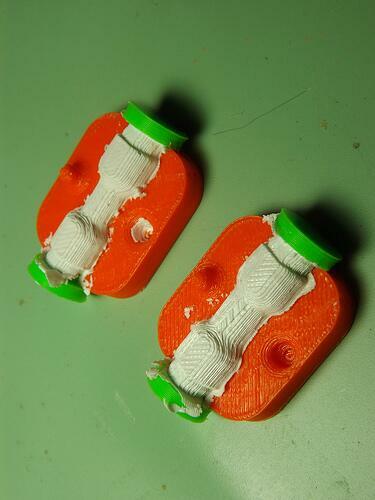 We sold our 1st Botbait kit yesterday, and are printing the pieces as we type! 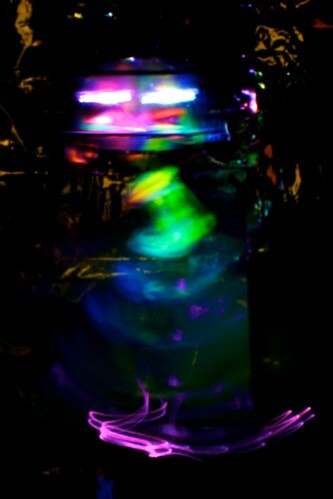 THANK YOU to everyone who has shared about Botbait on their social networks. It really helps spread the word and reach more people. Learn more about Botbait here. 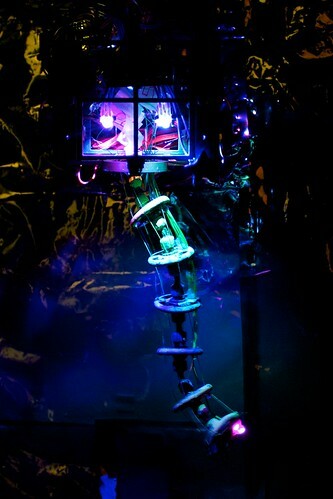 Introducing my latest robot to the world, a tentacle mechanism animatronic! 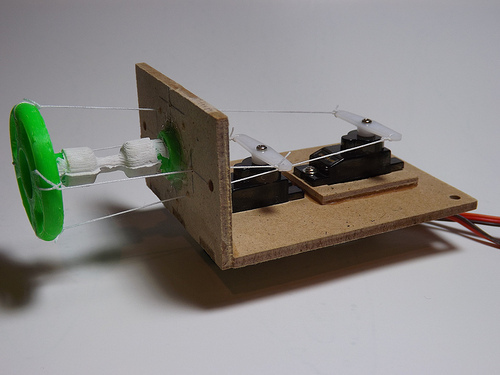 It is available as a kit, a kit including electronics, and customised & assembled. 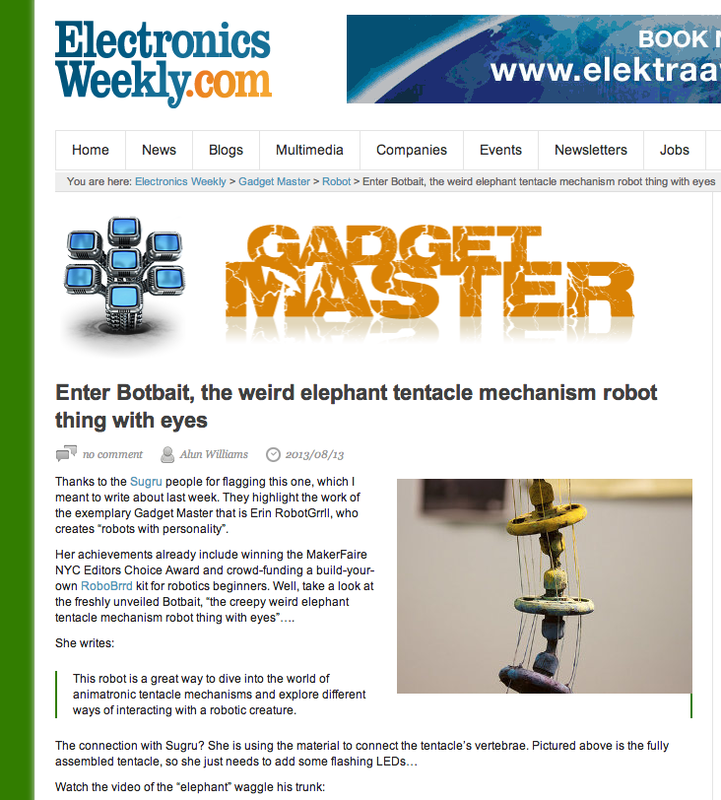 Building your own Botbait is a fun way to start getting interested in tentacle mechanisms while building a cool robot. If you are interested in the ‘making of’, I went all-out with this robot’s documentation and created an in-depth video about the tentacle mechanism. It’s 17 minutes long, covering the design, building, electronics, programming, behaviour, and lessons learned. 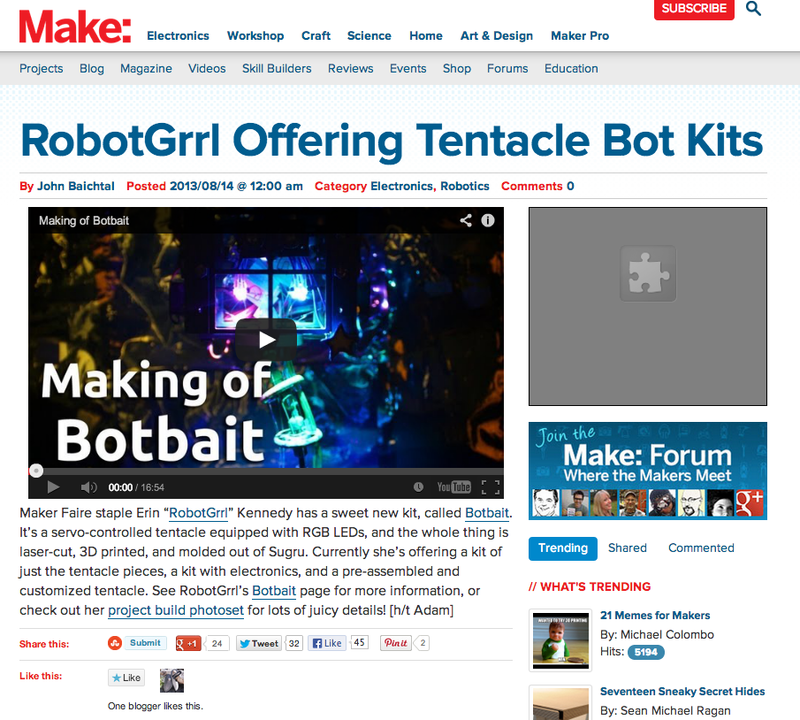 There is more information at robobrrd.com/tentacle, go check it out, and learn how to make your own Botbait!